Prepare yourself! The kingdom is under attack and rampaging rodents are only the first group of monsters that threaten its borders. You’re a member of the Royal Guard, the bravest and most fearless archers in the realm. Grab your bow and sharpen the blades on your arrows. Our enemies may be tough but you’re tougher. Powerful upgrades and weapons will aid you as you struggle to defend the kingdom. 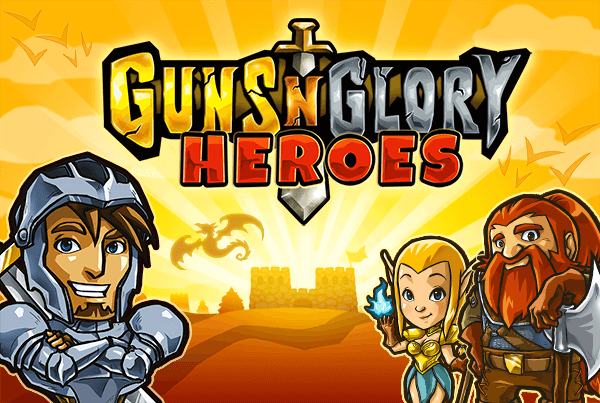 Train your soldiers, build towers, use special weapons, and destroy your enemy's castle. As King Fayla's general, you must take revenge on Black Horse Kingdom for their attack on Doven Kingdom! Take control of all of the elements of this magical kingdom and help defend it from some rampaging armies. In the not too distant future, all the world’s forests have been declared off limits by a powerful global government. What are its officials hiding? It’s time to find the answer in this retro action and adventure game. Join Jake as he fights to stay alive in one of these forbidden zones. He’ll need to grow crops, collect supplies, upgrade tools, and defend his safe haven until he can be rescued. The enchanted kingdom of Sedonia is in danger. Take this mystical bow and defend it at all costs. The secrets of mastering the four elements are in your hands; defend your mystic isle! This brave and bold knight is the only thing standing between this castle and an endless wave of monsters, bats, goblins and other evil forces. Help him defend it with all of his might in this exciting action game. Stop the evil objects from reaching the other end of the playing field. Unleash some furious, and very furry, vengeance on this army of animals before they take over the world.